Students should have successfully completed an appropriate QQI Level 5 course such as Computer and Network Technician (Year 1), Software Development (Year 1), or Computer Games Programming or Design, all available at Cavan Institute. Equal consideration will be given to mature applicants (those aged over 23) who do not meet this entry requirement but can demonstrate relevant interest and experience. This course may also be of interest to graduates with qualifications in non-computer disciplines who wish to pursue training in this area. This course has a significant practical component, designed to give students the necessary skills to plan, deploy and maintain a fully featured client/server network (and the linking of LANs in a Wide Area Network) in a functioning business environment. Participants will be trained on the client/server networked environment incorporating physical, virtual on premise and cloud technologies. The course provides comprehensive coverage of networking topics, from fundamentals to advanced applications and services, with opportunities for hands-on practical experience and career skills development. The two year computer and network technician programme is closely aligned to the Cisco CCNA professional qualification. This is a global qualification recognised by the IT industry. Students who complete the two years will have gained a strong foundation to progress to full CCNA certification. In partnership with schools and organisations around the world, Cisco Networking Academy delivers a comprehensive learning experience to help students develop ICT skills for career opportunities, continuing education, and globally recognised career certifications. Students will also be given the opportunity to prepare for and achieve certification as a Cisco Certified Network Associate (at no additional cost). There is a growing demand for Computer Technicians who can lead in a team environment, diagnose and solve server problems, manage computer networks (security and performance). 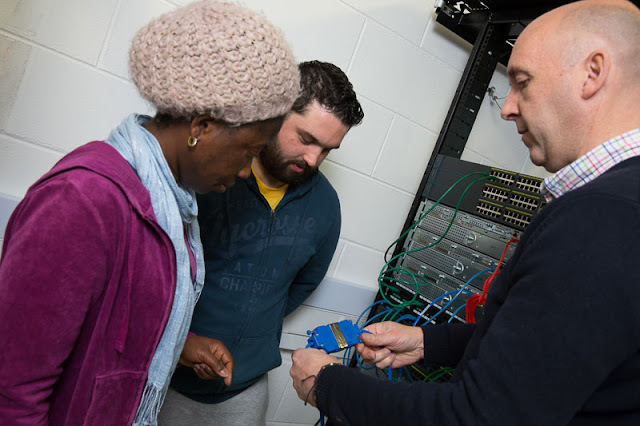 Students who complete the course successfully will be prepared for immediate entry into the employment market as Computer and Network Technicians. Graduates are eligible to apply through the Higher Education Links Scheme for entry to a range of higher certificate and degree programmes at Institutes of Technology and Universities (please check with the particular institution regarding local eligibility requirements). Such staff are needed in many large companies with on-site IT maintenance staff, including PC manufacturing companies, as well as networking as maintenance companies. Cavan Institute has a number of 'advanced entry' arrangements with a selection of Institutes of Technology whereby successful graduates are eligible to apply for direct entry into year 2 of a 3 year level 7 degree programme in a related discipline.